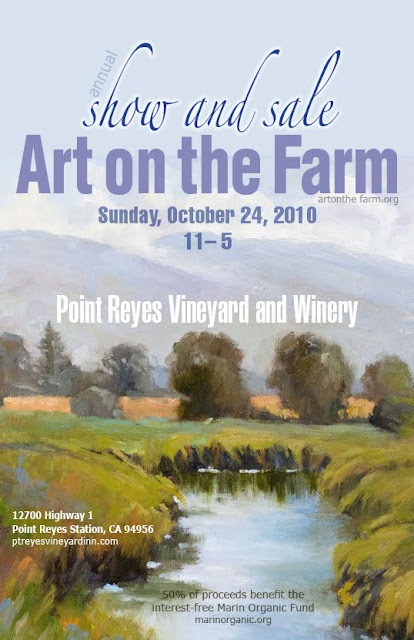 Art on the Farm Weekly... October 25, 2009; Annual Group Show at Point Reyes Vineyards! 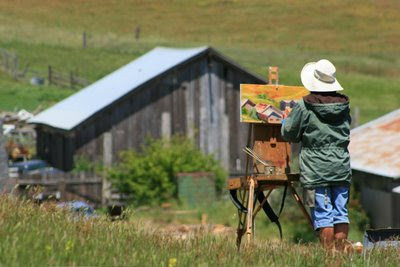 Helge Hellberg Speaks of "Art on the Farm", originally uploaded by cproppe. 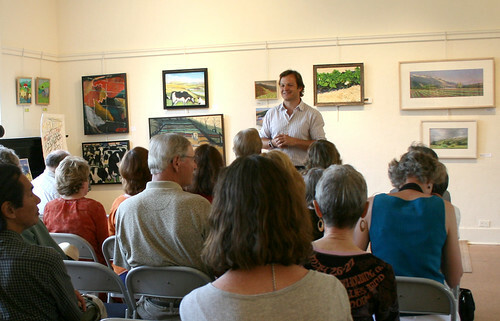 It was a lovely afternoon in San Geronimo Valley, where Helge Hellberg, of Marin Organic, addressed a crowd of about fifty guests and artists who came to view the new art produced on Marin Organic farms. 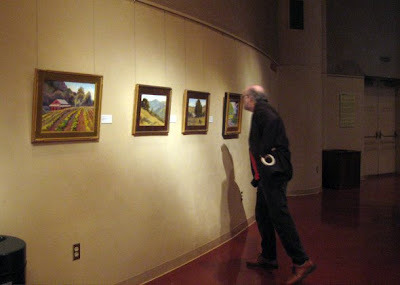 The adjoining two galleries at the Community Center are bright, airy and it is easy to view the art. 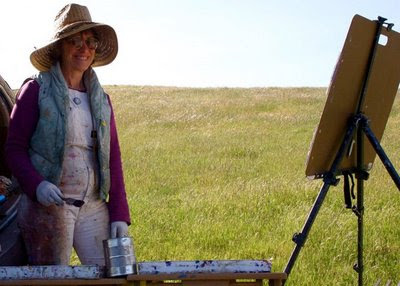 It is much more intimate than our last group show at the Marin Center. 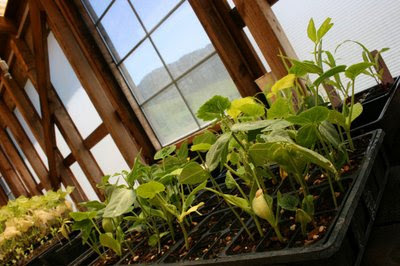 If you haven't visited the SGCC lately, you will enjoy the stained glass windows depicting Valley landscapes, and the W.P.A. 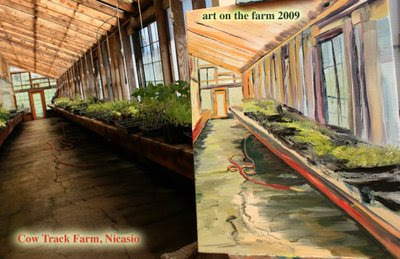 mural outside the Valley Room that has been restored, with prints available. 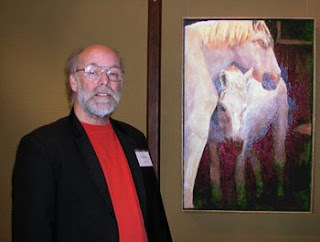 Click here to view the full album of the "Art on the Farm" reception on Flickr. 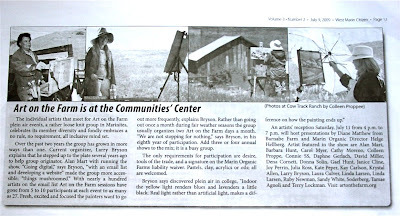 I want to take this opportunity to thank the West Marin Citizen for printing our images over the past year. 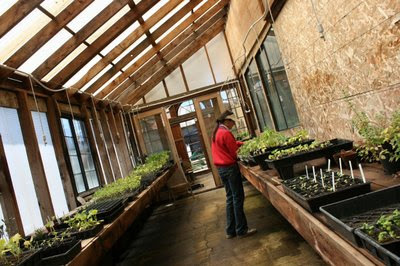 Jim Kravets has been wonderful about including our group and several photos in his paper since we started our website and blog in 2008. 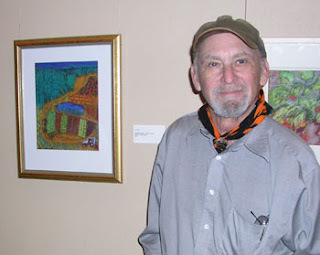 Above is his most recent contribution to our group's publicity, and an ad for our group show, reception, and chat with Helge Hellberg of Marin Organic, and Diane Matthews of Mt. 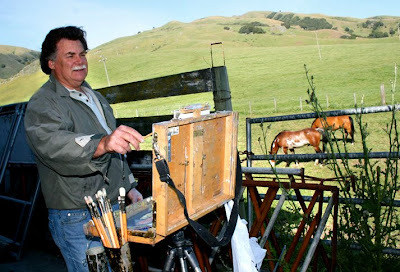 Barnabe Farm, this Saturday, July 11, 4-7pm at the San Geronimo Valley Community Center Gallery. 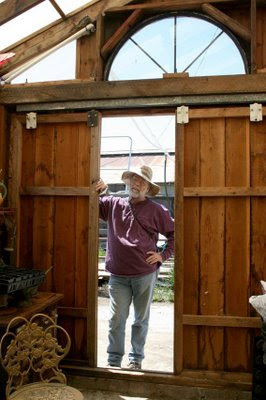 Thank you, Jim! 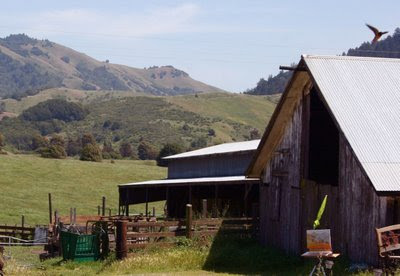 • June 2008; Photo of David Loren Bass's "Star Route Tractor & Windmill"
• July 9, 2009; "Art on the Farm at Communities' Center"
Thank you to The Friends of Marin Center, and the Marin Arts Council for a lovely reception for the Art on the Farm show, April 19th. 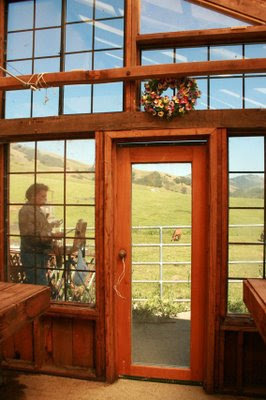 We learned that Lynda Larsen sold her painting of Stewart Ranch Barn that graced our group show poster for last year. 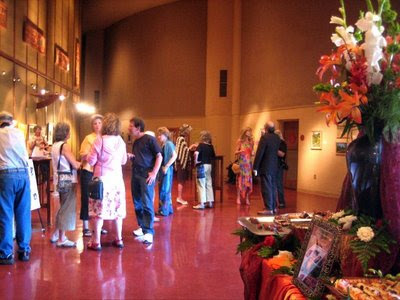 This show is unique in that it is only viewable by those who attend a show at Marin Center, and have the luxury of intermission and gallery viewing with refreshments. 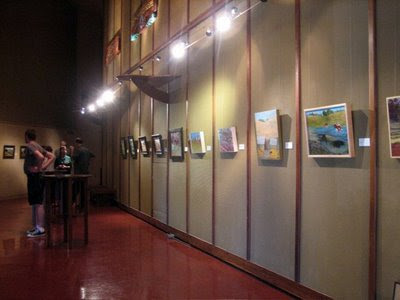 Our next show will be in San Geronimo Valley at the Cultural Center, and more easily accessible by the public. 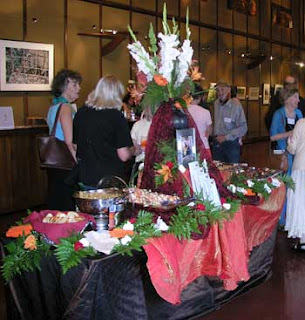 Below are some photos of the reception, which was well attended by many of the artists. 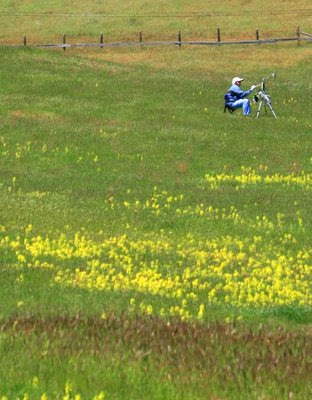 Take the North San Pedro exit, and go east. Turn left at the first light, Civic Center Drive. 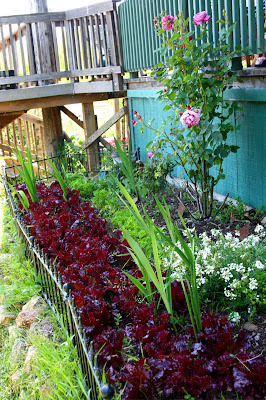 The Center is 1/2 mile down on the right, just past the lagoon. At traffic light turn left onto North San Pedro Road, and go east under the freeway. 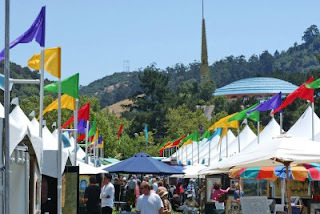 At the first light, turn left onto Civic Center Dr. 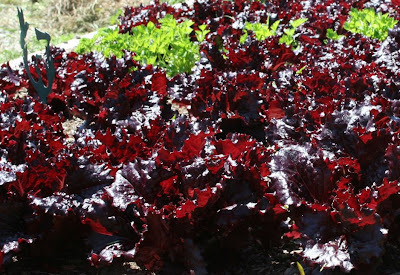 Follow Civic Center Drive approximately 1/2 mile. 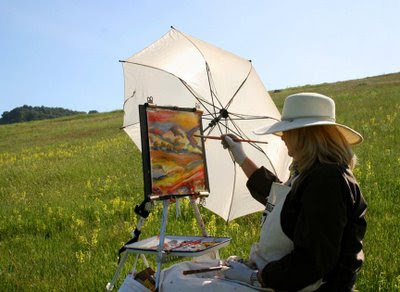 It was a gorgeous and busy day at Claudia Chapline Gallery in Stinson Beach. 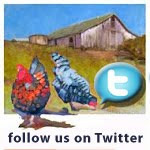 We kicked off the opening of "Art on the Farm" with a great crowd. 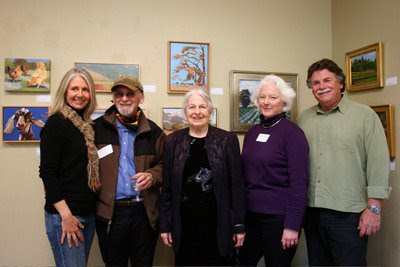 From left to right are: Alan Mart(founder of Art on the Farm), Claudia Chapline, Chris Adessa, Christin Coy, and Richard Lindenberg. 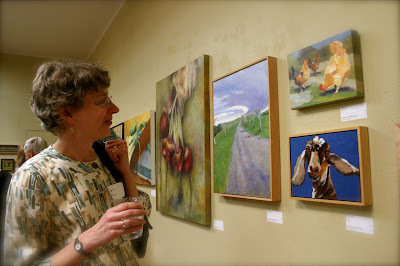 Watercolorist, Kate Peper, admiring works by Kanna Aoki, Larry Bryson and other members of the group, "Art on the Farm". 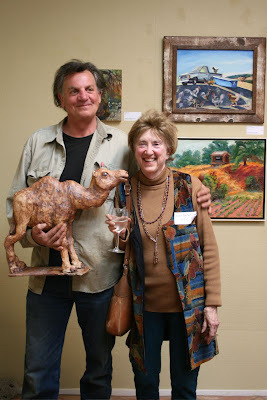 Artist in Residence, Paul Redaelli (holding a camel sculpture that sold yesterday) beside "Art on the Farm" contributing artist, Connie Smith Siegel. 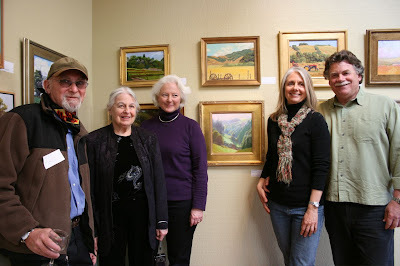 Left to Right: Christin Coy, Alan Mart, Claudia Chapline, Chris Adessa, Richard Lindenberg. 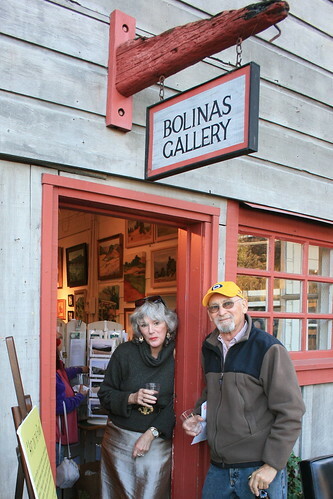 The Bolinas Gallery, 52 Wharf Road. 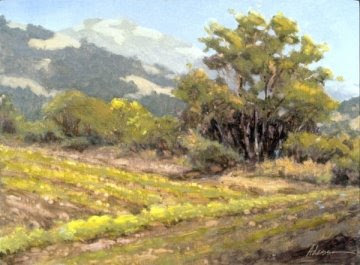 View and purchase Holiday gifts--- new paintings, prints, cards, photography by 26 artists from our group! This is a show not to be missed! 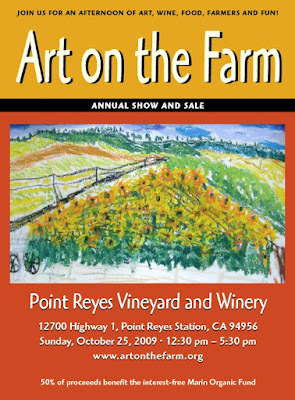 This is a great day trip and a wonderful outdoor show that is partially displayed on haybales and is not to be missed, with local oysters and wine. 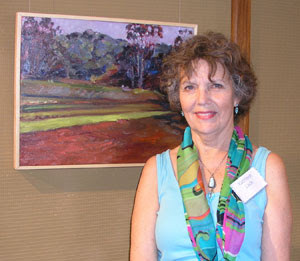 Older photos from our group show in 2008 can be viewed by clicking here. 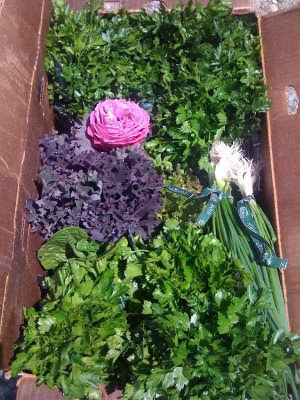 Monday - Thursday 9:30 - 5:00 and by appointment. 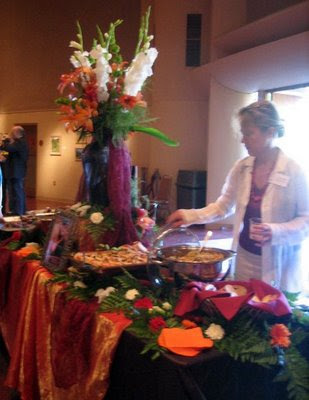 Tamae Agnoli, Krystal Allen, Larry Bryson, Laura Culver, Kay Carlson, Janice Cline, Dena Cornett, Daphne Gerlach, Barbara Hunt, Gael Hunt, Linda Larsen, Terry LockmanAlan Mart, David Miller, Catherine Moreno, Carol Myer, Ruby Newman, Kate Peper, Joy Perrin, Colleen Proppe, Julia Ross, Connie Smith-Siegel, E. Loren Soderberg, Donna Solin, Sandy White. 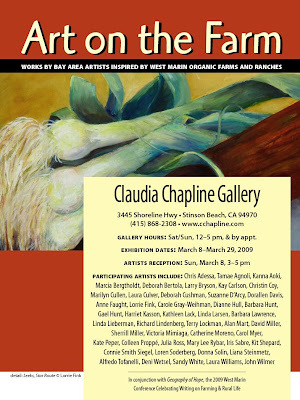 March 8th was a well attended opening at the Claudia Chapline Gallery and Sculpture Garden in Stinson Beach, California. 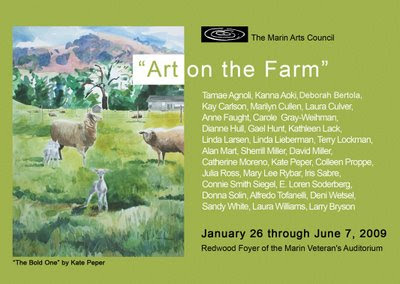 What an exciting venue for "Art on the Farm"; a single piece from each artist who has painted on Marin Organic Farms with the group over the last year. 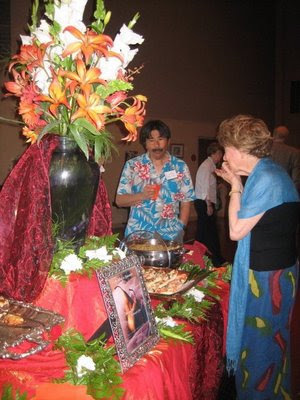 Click here to view photos from the opening. 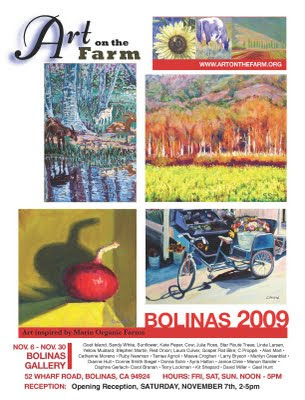 Click below to read poster, designed by member artist, Lorrie Fink.